The news comes more than half a year after Corning first debuted the "Thunderbolt Optical Cables" at CES 2013 in January alongside a USB standard solution dubbed "USB 3.Optical Cables." 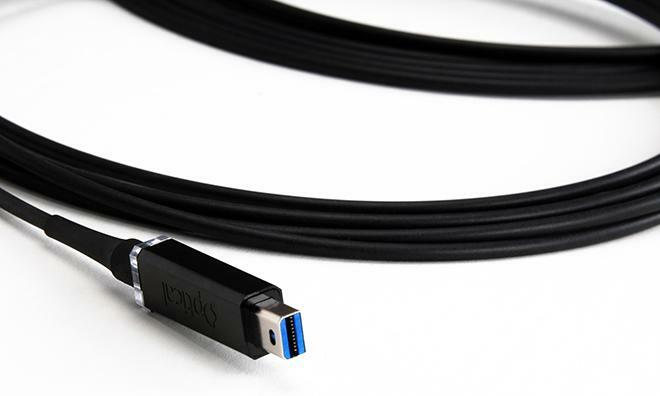 Corning's all-optical Thunderbolt cables use the company's ClearCurve VSDN optical fiber technology to deliver high data speeds over longer distances than traditional copper cables. The optical fiber versions are also 50 percent smaller and 80 percent lighter than their copper counterparts. Corning plans to make the cables available at various lengths starting at 10 meters, though final product specifications have yet to be revealed. A release date has yet to be nailed down for the Thunderbolt Optical Cables, though Corning sees the product rolling out to distributors, resellers and online shops in the "coming months." Those interested can keep track of retail status through the company's website.